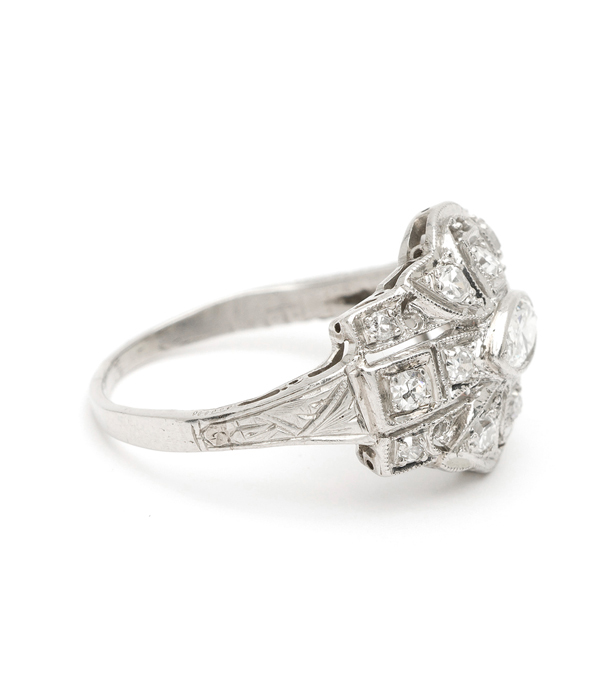 A delightful antique engagement ring with a modern edgy appeal. 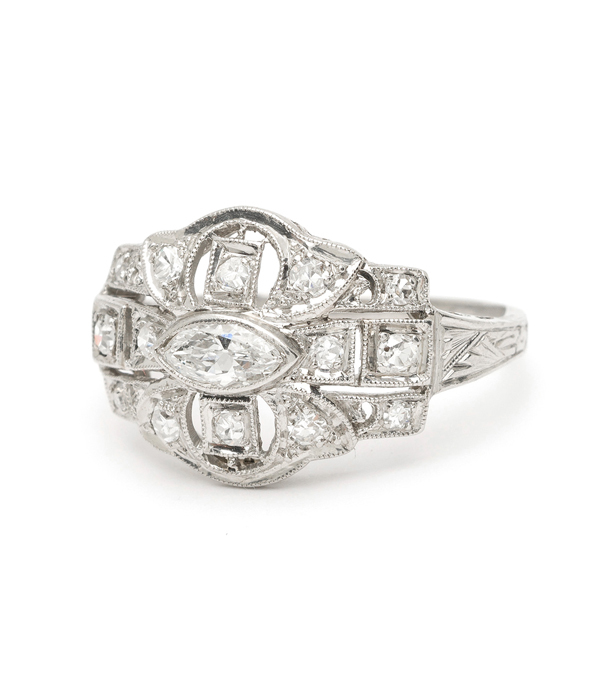 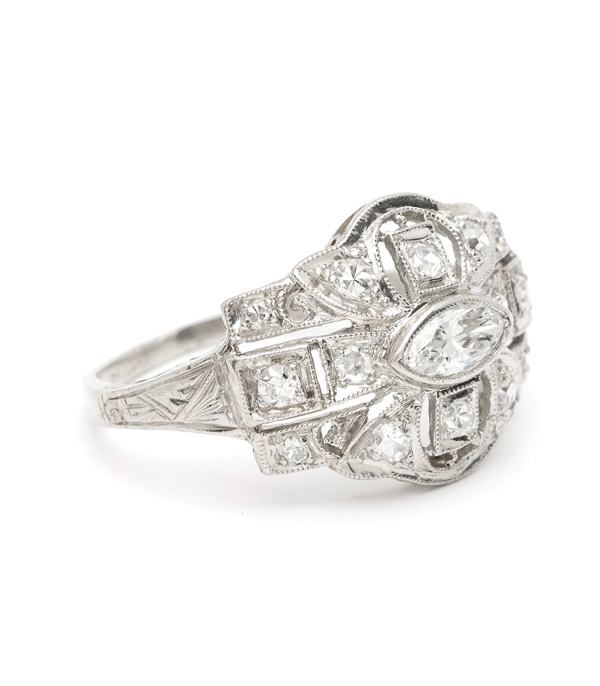 This platinum art deco style ring features an east-west marquise diamond center (approx 0.30ct, G, VS1) set within a detailed band with single cut diamond accents. 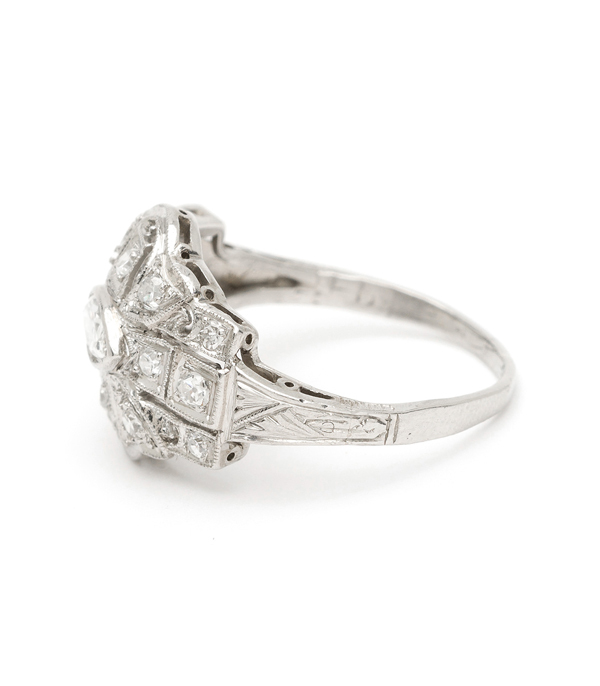 We are in love with the details of this geometric design and the ability to integrate into the perfect vintage stack. 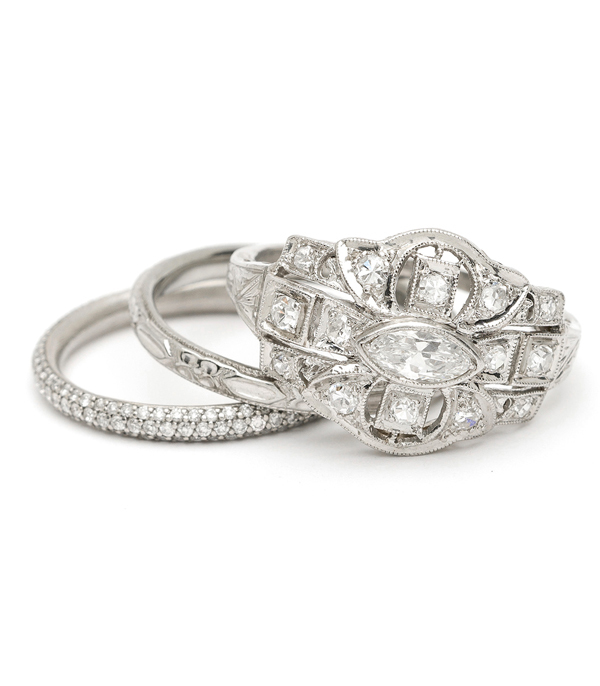 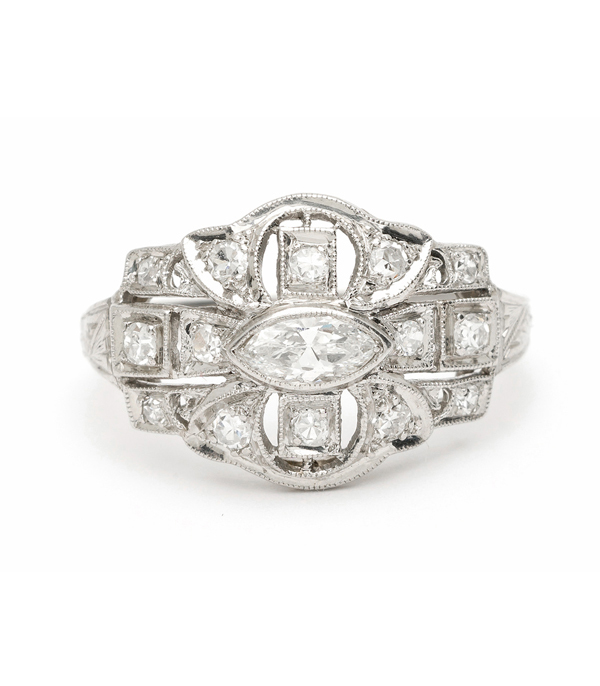 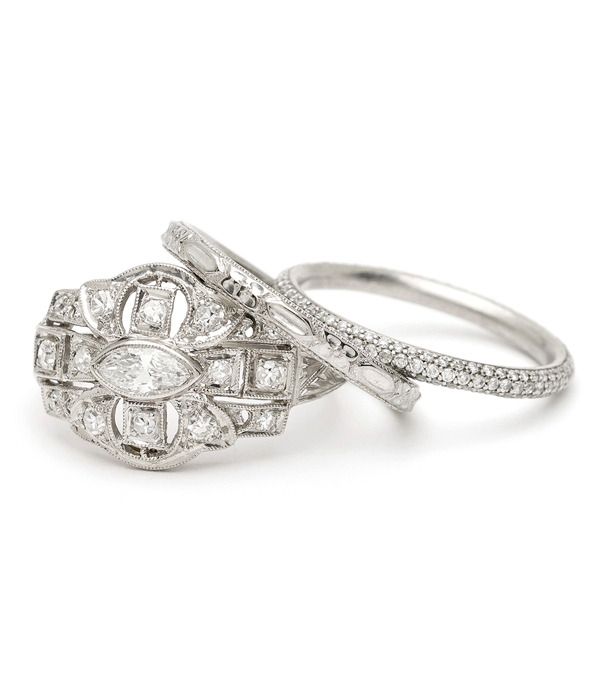 Categories: Antique Diamonds, Art Deco Jewelry, Vintage Engagement Rings, Vintage Rings.